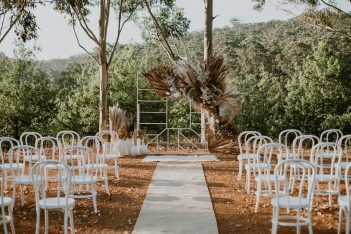 With sweeping views over rural landscapes, bushland and the Indian Ocean, Eagle Bay Brewing Co offers you the perfect backdrop to your wedding reception. 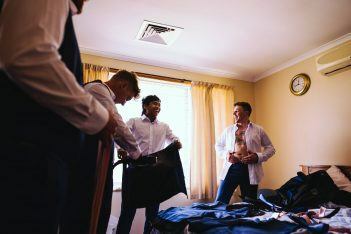 Located in the north western corner of the Margaret River wine region, our relaxed and modern venue is within easy reach of Eagle Bay, Bunker Bay and Dunsborough. Eagle Bay Brewing Co is an architecturally designed, open and modern venue where our own range of craft beers and cider are brewed onsite. We also have our range of Eagle Bay Vineyard wines which are from our 20 year old vineyard. With a limited number of weddings hosted each year, the team can give your special day their undivided attention. Whether it be a sit down or cocktail reception for 80 or 160 guests, our functions manager along with our head chef can tailor a food and beverage package to suit your needs and personal preferences. We pride ourselves on providing our clients with personalised, professional service leading up to and on their special day.